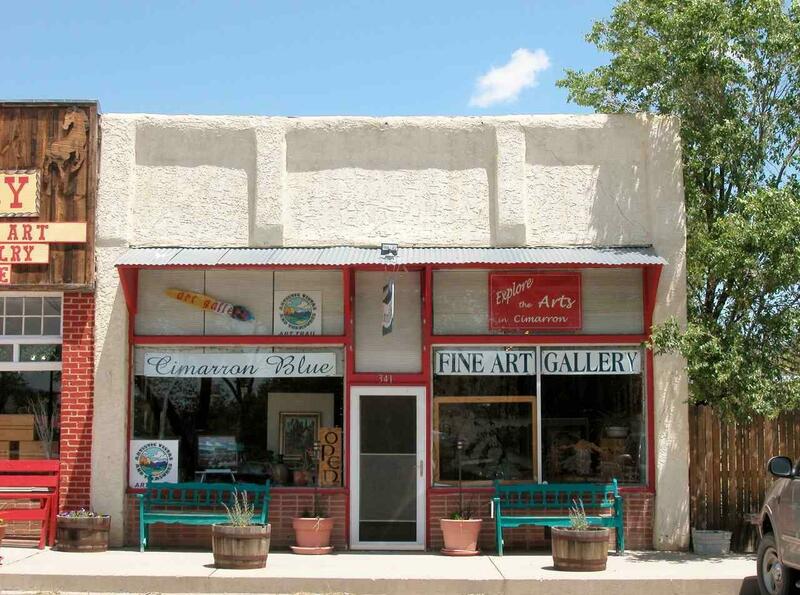 Cimarron Blue is a magnificent art gallery in the heart of the Cimarron "New Town" business district. Approximately 1,752 +/- sq. 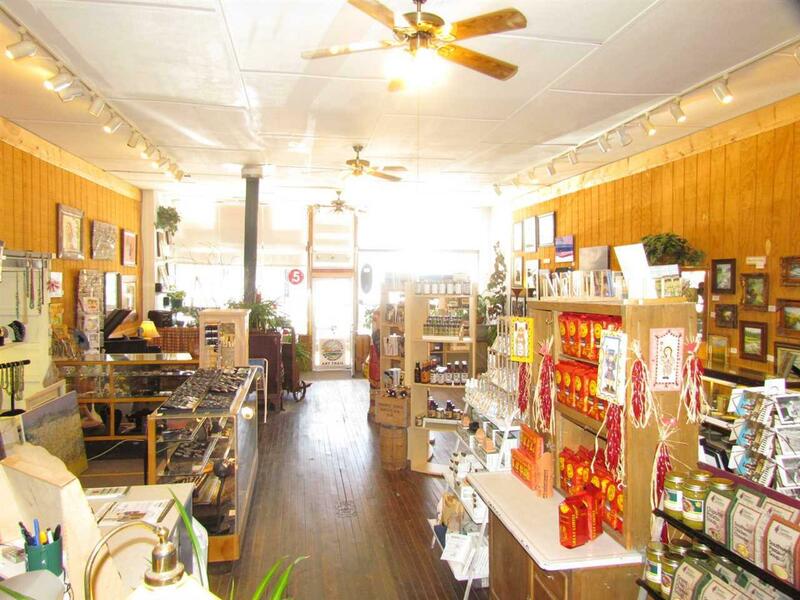 ft. of building on an approximately 3,500 sq. ft. town lot. Most of it is dedicated to a fine art gallery with an additional storage room in the rear which has a bathroom with shower. Plenty of room to move the wall between the two spaces into the gallery and create a studio apartment if some kind. 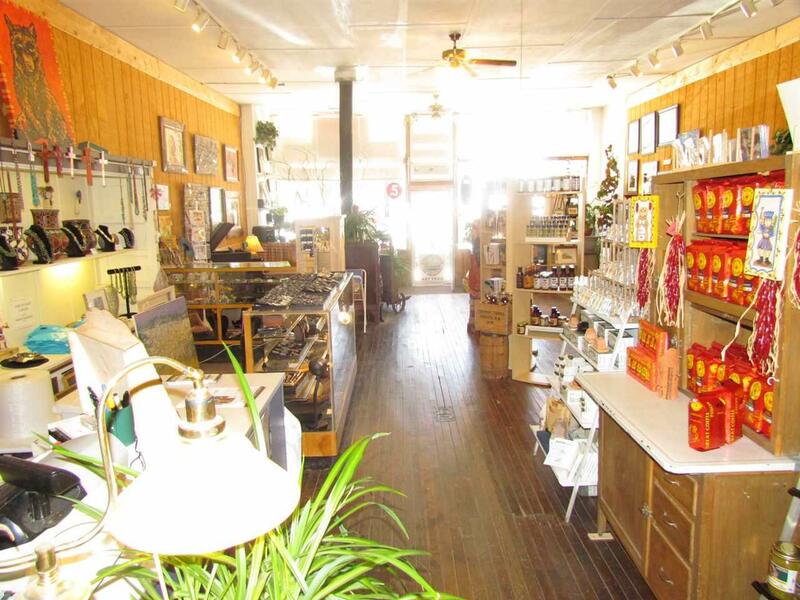 The gallery has two large picture windows with a door between inviting travelers to enter and walk in to the long tall room with beautiful original oak floors. The high ceilings enable you to hang more art and he track lighting can e angled to out that art in the best light. For heating there is a natural gas forced air heating unit. For cooling there is a swamp cooler and ceiling fan. The foundation has an outer stem wall with piers and beams in the interior part of the foundation. The front and east side exterior has a stucco finish. The roof is a metal propanel roof. The east wall is a shared wall with the adjoining business. The property is on Cimarron Village water /sewer/trash. The trash you take yourself to the dumpsters found in various places in the community. Natural gas and electricity is provided by Zia Natural Gas and Springer Electric Coop. respectively. Centurylink provides the local telephone and high speed DSL. 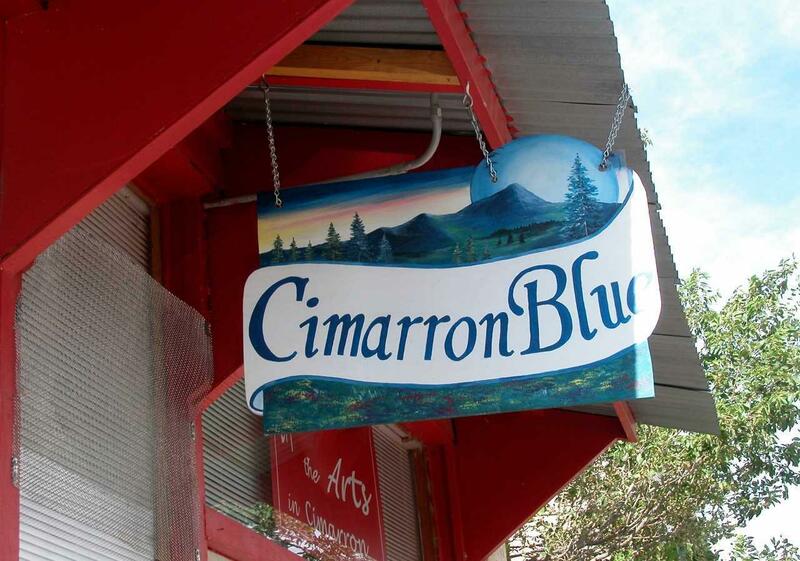 Cimarron has long been known for its climate with typically cooler summers than lower elevations of the state and being in close enough to the mountains to enjoy winter/summer activities. This is a great location in Cimarron with a good structure and adjoining land for what ever business model a new owner should implement. Seller would consider owner financing on an individual basis.